A headless CMS is a back-end only content management system. This tool allows businesses to manage, store, and track content projects from creation to publication, just as a traditional CMS does. Unlike web content management software, the front-end delivery layer of a website is removed from a headless CMS. Developers can use any front-end tool they want to present the content that has been created. This content is stored within a cloud and provided as a service through an API. This means that businesses can deliver content beyond websites and apps onto platforms such as smartwatches and virtual reality headsets. This solution also often offers the option to translate content into different languages. Despite the open-source nature, a headless CMS should not be confused with business content management software (BCM). An API allows content from a headless CMS to be published on any platform, while the open-source aspect of a BCM ensures that users across multiple locations can edit files. A headless CMS should integrate with WYSIWYG editors. Headless CMS reviews by real, verified users. Find unbiased ratings on user satisfaction, features, and price based on the most reviews available anywhere. Contentful enables professional developers to build their applications on top of a content infrastructure. Contentful provides developers with a powerful set of APIs to manage, integrate, and deliver content to any device or service. Unlike monolithic web or self-baked CMS, we boost developer productivity and innovation on new platforms by making your content programmable. Kentico Cloud is the API-first headless CMS that lets you manage your content and deliver omnichannel experiences across all devices with focus on powerful content collaboration. Kentico Cloud represents a comprehensive cloud-first headless CMS and digital experience platform that allows companies to focus on creating great digital experiences for their clients without having to tackle the technical challenges of running a CMS. Kentico Cloud provides a complete platform in a true multi-tenant Software as a Service (SaaS) model: • allowing content writers and editors to manage structured content for multi-channel delivery from one place in the Cloud. • delivering the ability to publish that content to any website or device. It is an API-first CMS (also called a headless CMS) that provides dynamic content through an extremely fast content delivery network anywhere in the world. Kentico Cloud helps customers avoid the pains typically associated with a CMS, such as upgrades, performance, and security. And, with 24x7x365 support provided by 20+ in-house support engineers on three continents, online or on-site training, consultation packages, and detailed documentation, Kentico Cloud gives you everything you need to deliver on time and on budget. Enterprise ready product with features like Custom Roles, Customizable Advanced Workflow or Secured access to API. On top of that, add an extra layer of security with Multifactor Authentication and control user access against your enterprise identity provider with Single Sign-On (SSO). Kentico Cloud offers SLA-Guaranteed Uptime, Premium Support, 24/7 Back Up, Choice of data centers, Dedicated infrastructure, GDPR compliance or OWASP security review standards. Unlike other CMS and digital marketing products, Kentico Cloud is the first cloud headless CMS focused on collaboration. API-first CMS + blog platform built for developers. Integrate your app with Butter's API in 60 seconds. Contentstack™ – the pioneer in API-first, headless CMS technology – accelerates and simplifies content management across today's and tomorrow's digital channels, including web, mobile and IoT. Contentstack's award-winning technology has been recognized by leading industry analysts as a catalyst for a new generation of digital customer experiences and for its ability to power omnichannel content management. From desktops to smart phones, from kiosks to smart watches, from billboards to jumbotrons, from dashboards to VR headsets – content is delivered with the push of a button and optimized for every screen, device and channel. Learn more at www.contentstack.com and follow us @Contentstack. More than a CMS, the Agility Customer Experience Cloud empowers you to create, customize and manage your website, ecommerce, and ticketing solution from a Central Hub, and deliver personalized content across multiple channels. Agility helps organizations turn digital storytelling into sales growth and better customer experiences by empowering them to create amazing customer solutions that bridge the online and offline worlds. Agility is a Headless CMS built securely as a true SaaS multi-tenant application that seamlessly integrates with your existing platforms. We offer you guaranteed up-time, great performance, security, and globally availability. As with the best SaaS platforms, we offer a subscription-based payment model, continuous improvements, and excellent customer service with support from a dedicated customer success team. Headless CMS Cloud first and API-based, Agility's combines all the benefits of a Headless CMS (Speed of development, constant improvements, flexible development environments, multi-channel publishing) with the benefits of having Traditional features as well! By delivering page-driven content and offering modern integrations, our system empowers both editors and developers. Our Customers Agility currently works with customers in a wide range of industries including higher education, media & entertainment, retail, and more. If you have a unique case, we can solve it. If you need ease of use, we can solve it. If you have lots of integrations and big management teams, we're great for you! Our customers extend globally with a large focus on Canada and the USA. Some of our current customers include Visit Orlando, Pepsico, Polaroid, Hockey Canada, Kansas City University, California State University Long Beach, CPA Ontario, Cineplex Entertainment, Soul Pepper, Canadian Opera Company, Scotiabank and many more! dotCMS offers an enterprise-level, open source Java web content management system (CMS) and digital experience platform (DxP). dotCMS software is used by Fortune 500 companies, SMBs and digital agencies alike - empowering today's digital business with a rapid development platform for commercial-grade, multi-tenant, multi-channel content driven web applications. dotCMS, out of the box, meets today’s user expectations. Also, since dotCMS is Java based and standards-driven, it makes enterprise customizations and integrations simple for web development teams to implement. Privately owned and headquartered in Miami, Florida, dotCMS has an active open source community that has generated more than 300,000 downloads and has an expanding global network of certified development partners. dotCMS customers include: DirecTV, Hospital Corporation of America, Standard & Poor’s, Constant Contact, Thomson Reuters, TELUS, and more. Evoq is a Content Management System (CMS) with powerful features, including page management, workflow, granular permissions, localization, caching and search. We have an Open API (Application Programming Interface) that customers have used to extend the functionality of their sites via custom-developed modules. We also manage the DNN Store (http://store.dnnsoftware.com), which provides hundreds of commercially available (and supported) modules from third-party vendors. If you need to a feature on your site, look first to the DNN Store before building it yourself. Core dna is a world-class, true multi-tenant Digital Experience Platform (DXP) - giving digital teams all of the developer tools, hosting, scaling, performance, personalization, innovation and automation they need to build world-class digital assets. Cockpit was born out of the need of building a simple dynamic site. XOOPS CMS is an object-oriented, dynamic web content management system (CMS) written in PHP. prismic.io is an API-based CMS backend that manage and publish content into websites. Directus is an open-source suite of software for managing content in projects of any size. Instances of the Directus API allow you to easily connect SQL database content anywhere (websites, native apps, wearables, IoT devices, kiosks, etc) while the Directus App allows non-technical users to intuitively manage that content. You can easily install a build of the full Directus Suite which includes the App, API, and all dependencies. No Assumptions. That’s our motto, and we mean it. It’s your content, your workflow, your stack, your servers, and your database – Directus stays out of the way. Pure, decoupled content. Directus stores all your data unaltered, in SQL databases designed by you. Connect to your data from anywhere everywhere. Directus is a simple toolkit, not a one-size-fits-all behemoth. Every aspect of the framework can be tailored, extended, or even bypassed if needed. Truly limitless. Full internationalization. Manage multilingual content in as many languages as your project needs. And for international teams, the Directus App itself supports translations. 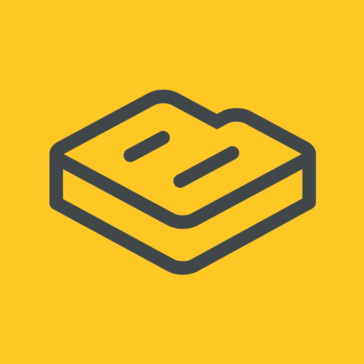 Strapi is the leading open-source headless CMS based on Node.js for all your developers content management and API needs. In minutes, you have a working API and can concentrate on developing software without the hassle of CMS complexities. All your data is made available through a 100% customizable API to be a perfect fit for your needs. We take care of the backend for you so you don't have to. Companies of all sizes are already using Strapi in production. A Cloud Content Management System for creating, managing and publishing amazing content to mobile and web apps. Cosmic JS is an API-first CMS for building content-powered apps in any programming language. Cotonti is a powerful open-source web development framework and content manager with a focus on security, speed and flexibility. Open source headless CMS, complete with multilanguage support, versioning and roles & permissions. GraphCMS enables developers to build powerful content APIs in a matter of minutes, while it gives content editors all the tools they need to manage their content. Quintype is a digital, cloud based, API driven CMS for publisher and content marketers that allows user to create rich content, distribute it across mobile & social, provide deep analytics, and enable monetization. Sanity is a fully customizable, headless CMS. Scrivito is a visual headless CMS for Digital Teams. It is maintenance-free, user-friendly, and secure. Powered by ReactJS. Powerful features • Headless CMS • 100% cloud-based • Zero maintenance • Extendable & flexible • Powered by ReactJS • Collaborative editing • User-friendly WYSIWYG • Customisable permissions • Enterprise-grade security Scrivito is a complete Web Content Management solution for your business. It provides a highly flexible, reliable and secure foundation for your business websites, wherever you or your customers are. Our cloud-based CMS service scales as you and your business needs do. It’s the fastest and most cost-effective way to create scalable websites on the market today. Scrivito’s lean development approach uses reusable components which keeps projects on time, on the scope and within budget. As Scrivito is the only 100% native cloud CMS, you don’t need to worry about security, scalability and availability. It just works. Business websites perform better on Scrivito - and this is the reason why leading digital agencies around the world rely on us to power their client’s websites. If the best agencies trust us - shouldn’t you too? An OpenSource Headless CMS, a CMS with an API. The Headless CMS with a Visual Editor for Marketers. The Problem: Managing digital content with a headless CMS can be a difficult task. Without a visual preview editors are often lost and need instruction even for simple changes. The Solution: Storyblok has the user experience of a page builder with a modern headless architecture behind. This gives the developer freedom and the editor a self explaining intuitive interface. A stress-free Headless CMS, GraphQL API, and Static Site Generator to help you get your projects done. We offer a content management system that "lives" in Googles App Engine. It is highly scalable, extremely fast and versatile. You want an app or offer mobile web solutions to your visitors, guests and users? Hi there! Can I help you find the best Headless CMS solutions?